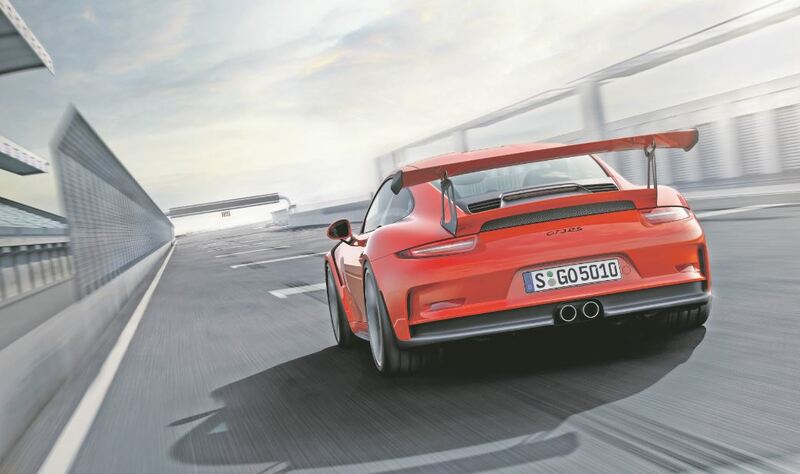 Blurring, once again, the boundaries between road-going sports cars and race-track cars, comes a vehicle with the maximum degree of motorsport technology currently possible in a street-legal 911, yet retaining supreme suitability for everyday driving. 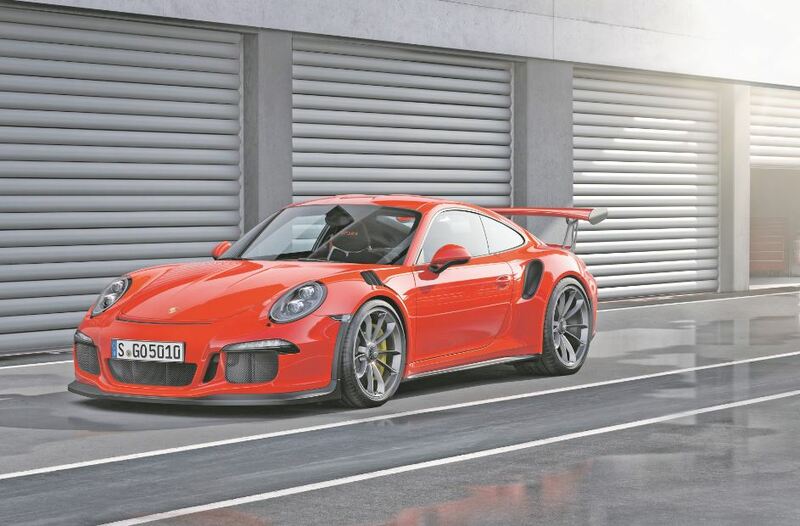 The new Porsche 911 GT3 RS has undergone extensive modifications to the drive system, aerodynamics and lightweight design enhance performance beyond that of even the 911 GT3. 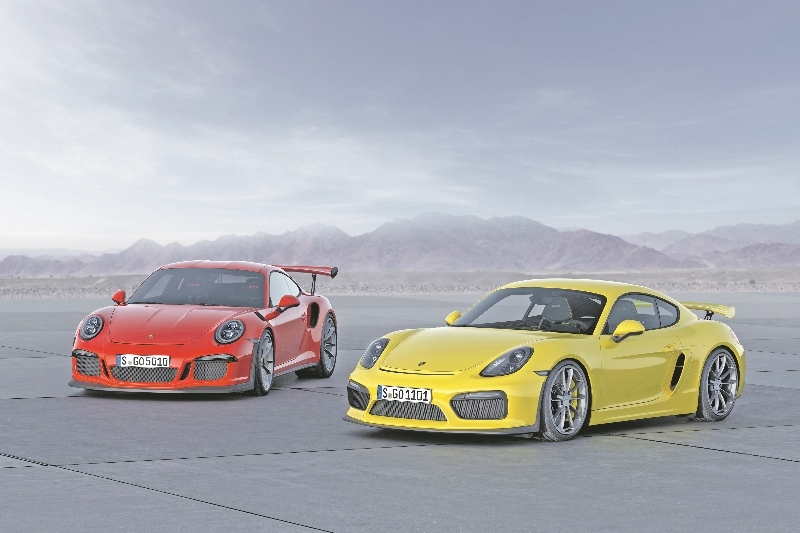 Indeed, the RS has set a lap time around the 14 mile Nürburgring Nordschleife of 7 min 20 secs; an achievement which also trumps the historic record value of the Carrera GT super sports car of just under 7 min and 29 seconds. As a consequence, this clearly qualifies the 911 GT3 RS as the benchmark in its class – directly at its launch. As befits the tradition at Porsche, motorsport expertise is the reason for this superior performance. The 911 GT3 RS is powered by a 4.0-litre six-cylinder engine with 500 hp (368 kW) of power and 460 Newton metres of torque, combined with a specially developed PDK transmission. The engine, which has the largest displacement and most power of any naturally-aspirated power unit with direct fuel injection in the 911 family, accelerates the high-performance sports car from 0 to 62 mph in 3.3 seconds and on to 124 mph (200 km/h) in 10.9 seconds. Combined NEDC fuel consumption is 22.2 mpg.